In the decades since his death, the legend of Che Guevara has grown worldwide. In this new book, Alvaro Vargas Llosa separates myth from reality and shows that Ches ideals re-hashed centralized powerlong the major source of suffering and misery for the poor. With eyewitness accounts, Vargas Llosa sets the record straight regarding Ches murderous legacy, brutally crushing any and all dissent, and concentrating wealth in the hands of an elite. The Che Guevara Myth and the Future of Liberty further elaborates on attempts by both the left and right to suppress liberty, and examines the Latin American spirit from early indigenous trade to todays enterprising communities overcoming government impediments. In the process, the book points to the real revolution among the poorthe liberation of individuals from the constraints of state power in all spheres. 2. Latin American LiberalismA Mirage? 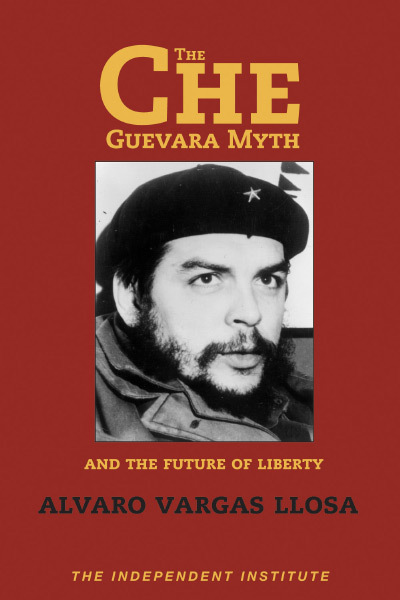 "Alvaro Vargas Llosa is clearly one of the foremost public intellectuals of Latin America, and his book, The Che Guevara Myth and the Future of Liberty, is characteristically forthright and timely. The striking contrast between the catastrophic failure of Guevara's murderous collectivism and the success of the alternative course, founded on freedom and individual initiative, is tellingly reflected in this very important volume." Alvaro Vargas Llosa is one of Latin Americas foremost political journalist. A native of Peru, he graduated from the London School of Economics and has worked as a journalist in Latin America, Europe, and the U.S. for over fifteen years. He is now a Senior Fellow at The Independent Institute. He is the author of Liberty for Latin America and co-author of Guide to the Perfect Latin American Idiot.